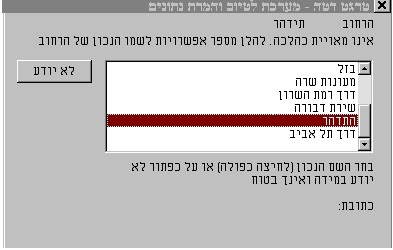 בשנים 1998 ועד 2000 פיתחתי תוכנה לשימוש פנימי במסגרת צעדים ראשונים בהקמת גוף שיעסוק בתחומים שונים לרבות דירוג האשראי, תחום אשר עדיין לא נכנס לישראל באותה תקופה. מערכת זו שימשה השראה לפיתוח תוכנת DataTune מספר שנים מאוחר יותר, וגם למספר רעיונות בתחום הזיהוי ה-fraud בטרנסאקציות בכרטיסי אשראי, ומערכות דירוג אשראי בכלל. מאמר זה מסביר את עקרונות התוכנה. הבסיס הלוגי מאחורי מערכות מסוג זה, הנו היכולת לחזות תכונות והתנהגויות in all probability (מונח שחוזר ומופיע בכל הערכה…), על בסיס שיוך תכונות (למשל: חוסן כלכלי) לקבוצה (לדוגמה: תושבי סביון), וכך, כשיגיע מחר אדם המשוייך לאותה קבוצה (קרי: תושב סביון) נסיק לגביו אי אילו דברים שמאפיינים קבוצה זו. התוכנה נועדה לשימוש פנימי של אותו גוף, ועל כן, נדרש אימות המשתמש בעת הפעלתה. 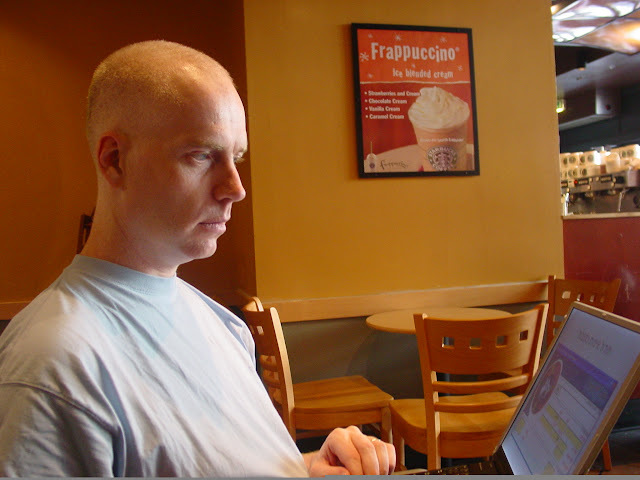 DataTune is a data cleansing software system developed by Michael Haephrati. 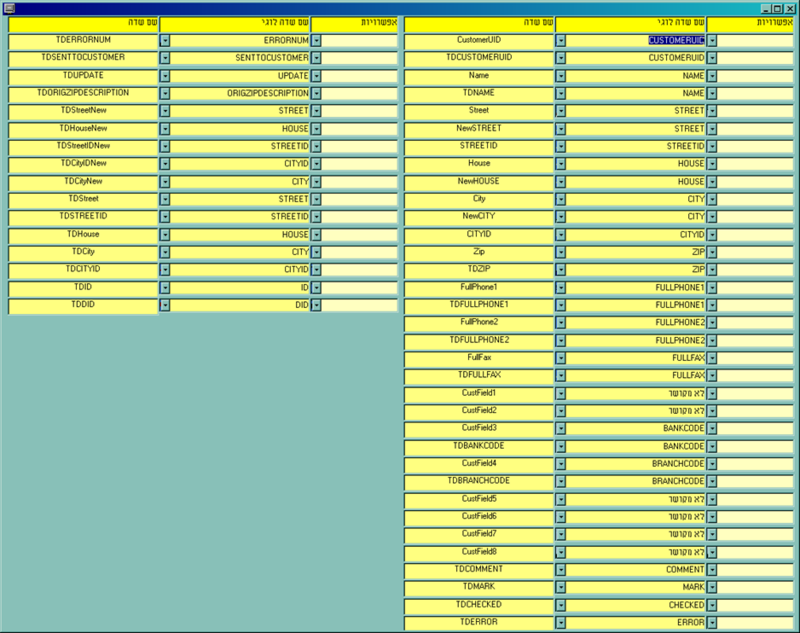 DataTune allows defining new data cleansing projects and importing data of any type to the system. An additional action which is great for QA is data scrambelling. 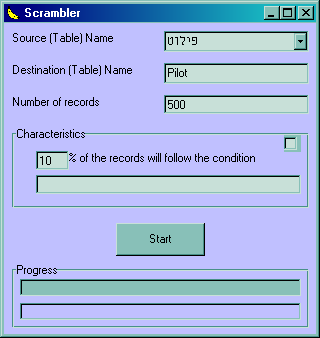 A database or a portion of it can be sampled and scrambelled to perform statistical checks. The DataTune system contains a built in programming language named TDBasic. Checking email while travelling through Lapland to Nordkap. 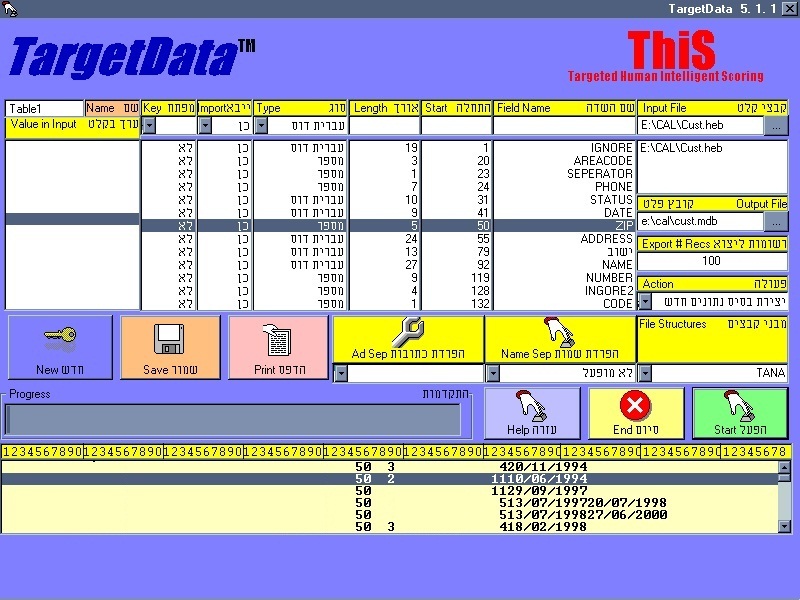 The first data cleansing system created by TargetData was in 1998. Michael Haephrati has developed the first “TargetData” software. Haephrati has developed ThiS – Targeted Human Intelligent Scoring system used to evaulate financial strength of people based on statistical geo-data. 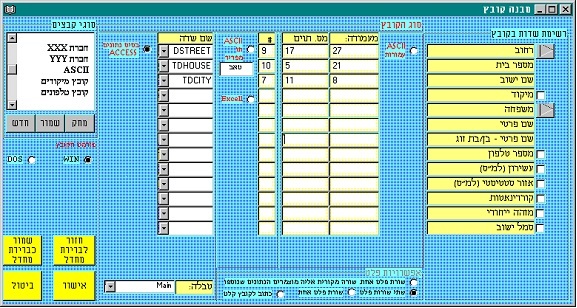 The purpose of the TargetData software was initially different and the focus was on displaying statistic and demographic data about the state of Israel. During 2001-2003 Target Data have developed DataTune, a data cleansing system, under the brand name of TargetData, which is part of Target Eye Limited. Among their clients were government institutes, large corporations, Microsoft Israel, Bezeq Call, and People and Computers. Location of potential customers (for Database marketing). One of the most important assets of the organization, if not the most important, are the information systems. Most of the organization’s information is currently stored in its computer network. In most cases use is made of a number of information systems, that are frequently different from one another, thus creating the need for mutual synchronization and updating of items of information between the various databases. Furthermore, since a significant proportion of the information is entered manually, a large number of errors arise, causing duplication and loss of information. As a result it becomes difficult to locate items of information at a later stage, overloading is produced, mail is returned, and malfunctions related to customers or suppliers occur. Major importance is attached to the current updating of parts of the information without affecting the information systems in general. Most of the information items comprising the information systems require updating at some given frequency. Addressesfor example: a street name that has been changed. Phone numbersfor example: changes in Area Codes or changes in the first few digits of the phone number. All these subjects require complex processes for the current enhancement of the information systems. In most cases it is necessary to occasionally or periodically refresh all the information systems, and to formulate procedures for maintaining the information systems constantly serviceable. The concept of data enhancement refers to a series of operations intended to significantly improve the quality and efficiency of the organization’s information systems. In some information systems, a number of fields are kept as single fields. This makes it difficult to perform updating, retrieval, and current maintenance. For example, saving a customer’s address as a single field (i.e. “1020 Main St. Appt #5”), will make it difficult to locate all the customers living in a suitable street (i.e. Main St), or alternatively, will make it difficult to update the street name, if replaced, in the entire records of all customers living in this street. Target Data has developed a unique method for splitting fields into their components. This method comprises separating full addresses, street addresses, names of people and names of companies. In addition, this method may be used to perform further manipulations of data structures of all kinds, at the customer’s request. From time to time street names are changed. Furthermore, most information systems contain different versions of streets and towns names, as well as different syntax for address format. Using Target Data’s exclusive method, a process has been developed to attach to each address a unique identifier, based on the coding system employed by the Ministry of the Interior in each country, giving each town and each street it’s unique numeric code. The process consists of interpretation of the address in the information system and its conversion into town code, street code, house number, entrance number, apartment number, and floor number. In many cases the address field contains the name of a well-known place instead of the street name. For example, DATATECH, a firm situated in the Central Bus Station might mistakenly give its official address as follows: DATATECH, Central Bus Station, floor 5. We shall identify a wide variety of places in major European towns, such as bus and railway stations, airports, cultural centers, squares, bathing beaches (which in certain cases form the address of hotels), as well as sites which do not belong to a town or a local authority (such as Highway projects). We can also identify shopping malls, commercial centers, industrial zones, etc. 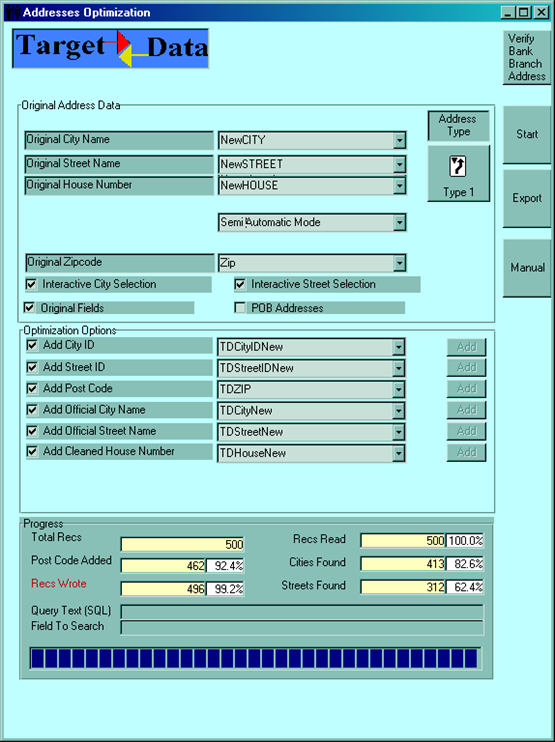 In cases of an un-separated Street Address, we are ready to interpret and locate house numbers in addresses, using a variety of methods. In general, an address may contain a house number in several ways: house number/ apartment number, apartment number/ house number, and other combinations, such as floor number and entrance number. The most important of the data (an error in which may cause the mail to be returned) is the house number. We cross-check this number in the known range of numbers for that street. For example, Barnauer St. in Berlin should not contain house numbers greater than 200. In addition we check the apartment number and verify that it is logical, by comparing it with the number of floors usual in that district. For example, it is impossible to find an address on the tenth floor in a neighborhood of cottages. – Name of a town. This is all based on the assumption that errors frequently repeat themselves. In order to identify unfamiliar misprints, we make use of Soundex-based algorithms that help us to identify misprints according to the language root of the names. According to this method, the words Meerdevoor street inDen Haag can be misprinted as Merdevur, Mardevoor, etc. and yet receive an identical root. This method helps to locate and correct difficult and strange misprints of names of companies, streets, and towns, as well as of people’s names, and to enhance the data in an automatic, rapid and quality manner. We attach / verify the updated postal code to every address in the customer’s database in accordance with the updated table of postal codes of the postal authority of each country. We also attach the codes for streets and towns in accordance with the updated table of codes of the Ministry of the Interior in each country. This enables us to update the changes to street names published by the Ministry of the Interior from time to time. This process is based on the technique of separating fields, developed by Target Data. At the end of the process an updated database is created permitting access to each element in the customer’s name (individual or company). This process permits locating duplications, locating family relations from the customer database and, if necessary, combining households. The process permits creating a single record for each company, and combining all the contact people with whom the organization is in contact into the main record. In this way the need is removed for updating separately details of information common to a company (address, fax number, Internet website), while at the same time access is retained to details of information specific to each contact person (extension number, or direct phone number, email address, etc.). In our experience the best way to locate the most up-to-date address and phone number of the customer is to use Bezeq’s records. The file of records of residents is actually updated only after the citizen informs the Ministry of the Interior, and is not always up-to-date. In contrast, since most people own a telephone today (even if they are renting their homes), because of the reduced prices of phone lines, we have found that Bezeq’s records are more up-to-date. We can update and verify addresses and phone numbers of private individuals and companies using this method, by querying several sources of information until we locate the most up-to-date address and phone number. As part of the data enhancement services we offer facilities of marking, followed by filtering of redundant records. This service is implemented after data enhancement since only at this stage it is possible to identify duplicate records which originally contained apparently different data because of errors. Only the enhancement process will permit identification and correction of redundancies at a later stage. For example, the firm of “NewCo” appears in the database as “New Co” because of a mistake in data entry, and also under its correct name. Only after enhancement of the company’s name, i.e. after correcting “New Co” to “NewCo” will the redundancy be identified. After identification of redundant records, the report is sent to the customer, containing several options: unification of the information in each of the redundant records into a single record (i.e. sending details of the information appearing in separate redundant records, in order not to lose important information). Another options is to ignore and delete one or more of the redundant appearances of the record. The third option is to leave the records unchanged. (This option is intended for customers who prefer to delete these records by themselves at a later stage.) It should be noted that, even then, data enhancement permits fast and easy identification of redundancies by the customer himself, by making simple queries. One of the most frequently encountered problems in data enhancement is that of enhancing records containing names and addresses of company branches. In most cases the official publications and most of the databases contain a record of the company management and/or the head office only. On the other hand, a record giving details of one of the branches may appear in the customer’s databank. For example, under the heading: Bank of America, there will actually appear one of the branches since this branch is the company’s customer. However, if another branch is added to the database of customers, we do not want this addition to be identified as a redundancy but as an additional record, preferably with a link to Bank Leumi as a major name for each of the branch records. We will attach the school network name (e.g., Ort), the classification (e.g., primary school), the address, phone number, and fax number. We will attach the name of the fund, the branch name, the manager’s name, address, phone number, and fax number. We will attach the name of the branch, address, phone number, and fax number. We will attach most of the details for branches of government ministries, such as the Ministry of the Interior, the Licensing Offices, etc. In the case of records containing information about one or more branches of a large company, we will attach the company’s official name to every record, but will store the information for every branch. We will identify the branch and the chain to which it belongs. – Saving copies of items of information separately, in order to provide fast access to them, as compared to saving pointers to these items of information, in order to save storage space at the expense of the response time required to retrieve them. We specialize in providing support for companies and organizations that are just starting, or are in the middle of the process of, assimilation of a CRM system. It is frequently necessary to once-only or currently convert the contents of one database to the format of another. In many cases the company receives a file of data from a customer or from another source and it is necessary to import these data to the organization’s database. In other cases use is made of a number of applications or database and it is necessary to import or export between different formats. 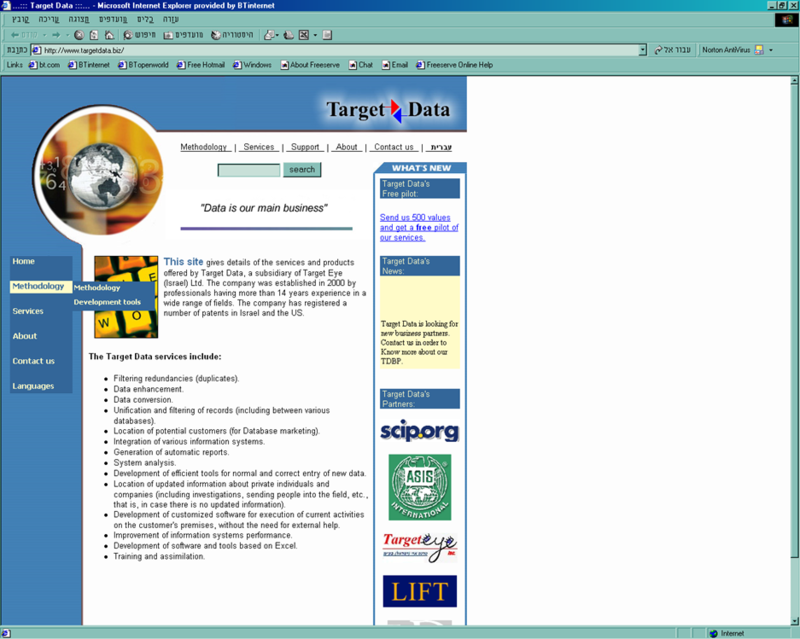 Target Data offers one-time services for data conversion between different systems, providing support for most information systems including databases, off-the-shelf applications such as Access, Excel, Office, dedicated applications such as WinFax, and applications supporting organizers, such as Palm, Visor, etc. required information systems or software products. 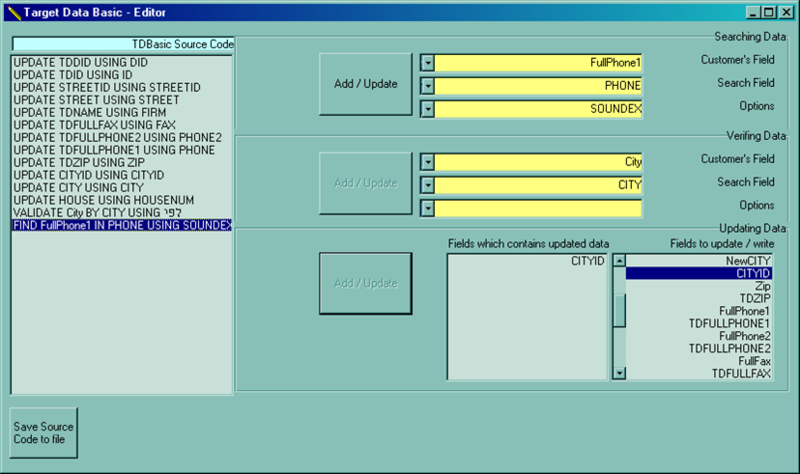 For example, in a computer in which the MultiSync system is installed, linking Palm and WinFax applications, the system will identify the addition of a new customer to the WinFax address book, and will automatically update the Palm address book accordingly, and vice versa. A unique type of applications in which we specialize are the tools installed as an addition to the Excel application. These are tools used to automatically execute a variety of operations, such as conversion of accounts between various formats (e.g., a customer requires an application to convert accounts submitted to customers in a new format recently specified by one of his major customers). As a result, the need arises to convert hundreds of accounts from the old to the new format. This tools aids in performing automatic conversion of formats. DataTune was provided until 2004 and is now discontinued. Michael Haephrati was born in 1964. An inventor, Hi-Tech specialist, music composer and a father. During 2001-2003 I have developed DataTune, a data cleansing system, under the brand name of TargetData, which is part of Target Eye Limited. Among our clients were government institutes, large corporations, Microsoft Israel, Bezeq Call, and People and Computers. In order to identify unfamiliar misprints, we make use of Soundex-based algorithms that help us to identify misprints according to the language root of the names. According to this method, the words Meerdevoor street in Den Haag can be misprinted as Merdevur, Mardevoor, etc. and yet receive an identical root. This method helps to locate and correct difficult and strange misprints of names of companies, streets, and towns, as well as of people’s names, and to enhance the data in an automatic, rapid and quality manner. It is possible to attach to the names of companies a broad range of details, including private company number, number of workers, date of establishment, sales turnover, names of contact persons, area of activities. We offer the option of locating potential customers amongst companies and authorized traders, based on criteria such as number of workers, sales turnover, geographic region, where the proposed companies database includes only those companies that do not already exist in your organization’s database. We offer this service as an addition to the project, to be executed on completion of the project, so that the data regarding potential customers will be integrated into the existing data only after enhancement. In other words, if the company name is incorrect it should be enhanced first of all in order to identify it as a recognized name in the database of potential customers, so that it can be filtered from this database. 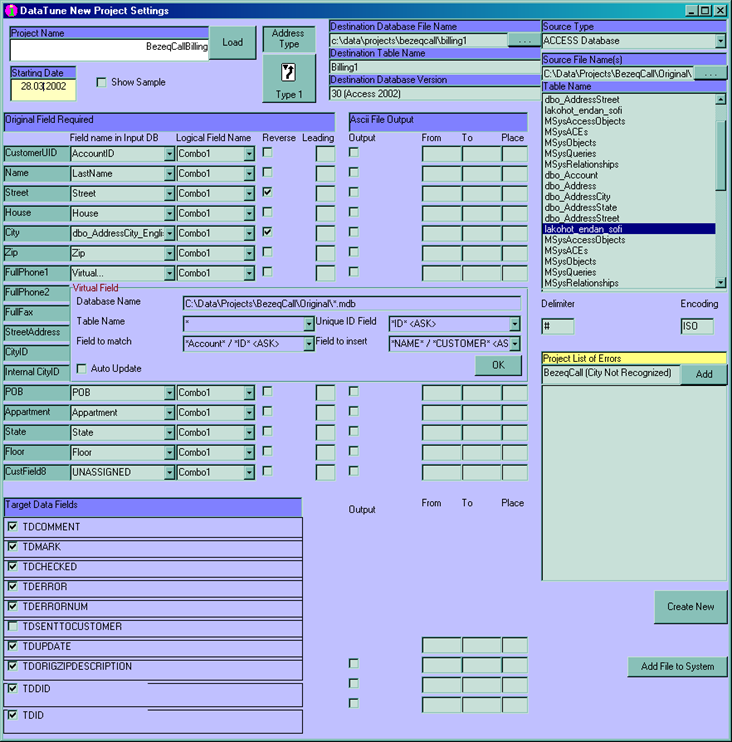 A user-friendly interface containing buttons and menus for data retrieval, report generation, and updating of data. Search keys permitting extremely rapid data retrieval. Construction of ready-made queries for performing retrieval operating known in advance (e.g. retrieval of all the data about customers whose enlistment date lies in a range of given dates). Issue of reports based on user’s characteristics. Control of several databases from a single window. It is necessary to convert an existing system. It is necessary to develop a system which will interface with an existing system. It is necessary to develop customized software. A written questionnaire: At this stage you will be sent a list of questions about various subjects related to the existing work processes, professionals, roles, time durations and products. An oral questionnaire: In this stage we interview the key personnel in the organization in order to acquire in-depth understanding of the work process, locate bottlenecks, and construct a flow chart of the work process. 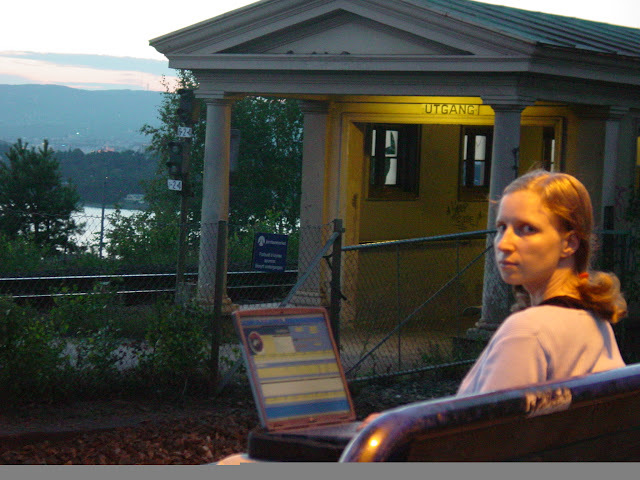 Analysis of the information systems includes the analysis of current and future systems. The Project Manager assigned by us to work with the customer makes an in-depth investigation of which items of information are required by the customer, which items are collected, which items are collected but not saved, which items may be retrieved at a later stage (for example, for purposes of marketing additional projects to customers), which items are unnecessary, etc. Target Data makes use of unique tools that it has developed for automatic data processing on a tremendous scale. At the end of the automatic process a list is produced of the data requiring manual examination and enhancement. VBA (Visual Basic for Application) — automation and macro programs for Office and other Microsoft tools. The output of our work may be supplied as an EXE file. In certain cases the source code may be purchased from us. 0 Meeting in the customer’s offices. Alternatively a pilot scheme may be initiated.